Anti-virus firm AVG who recently swallowed up large VPN provider HideMyAss are getting in on the fast-moving VPN router market with the release of an IndieGoGo crowdfunding campaign aimed at bringing their very own VPN router to market. VPN routers have been around for a while and are currently standard routers that have been flashed with software capable of adding in VPN functions. In the past 12 months there has been a number of security products that aim to provide VPN and Tor connectivity in a small and portable box, essentially purpose made VPN routers. 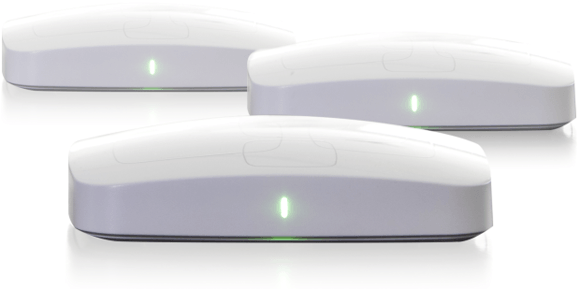 The new device named Chime aims to offer VPN connectivity and Tor access in the home. Unlike other devices on the market or those in production like the recently funded InvizBox Go the Chime aims to incorporate safe browsing via VPN or Tor and a unique anti-virus system from AVG built into the device. Chime sounds somewhat similar to other devices in the pipeline and while it claims to have certain extra features it also lacks features that others are offering. One of the selling points is the mesh type Wi-Fi that the device aims to offer which will allow connectivity through more than one box to boost the Wi-Fi signal around your home. If you have a rather large property that usually has a weak signal in distant corners the Chime is set to alleviate those issues. Surprisingly AVG has gone the crowd funding route that is usually taken by start-up companies and smaller outfits, however, they claim it isn’t for the funding (even though they’re asking for a whopping US$650,000) but instead to ensure they receive ideas and direction from those that are interested in the product. I’m not entirely convinced on that score as most of the features are laid out in the listing and I can’t see them making huge changes based on feedback from those that pledge. Whatever the reason for the crowd funding route as the time of writing US$37,470 has been raised towards the over half a million dollar target and with 22 days remaining it could be an extremely close finish line. Chime comes in slightly pricier than other devices such as the InvizBox Go, Keezel and new Anonabox offerings which are all set to be released early in 2016. Chime is priced at US$125 without VAT which is likely to be more around the US$150.00 mark for EU customers with shipping on top. The price is discounted for the Indiegogo campaign and when released will retail at US$200 plus shipping and VAT if you live in the EU. As with all recently released VPN router devices, speed will be the important factor and with little mention of the hardware inside apart from a “powerful dual core CPU” and no mention of expected speeds then one of the most critical features of the product will be left to be seen. Chime from AVG appears to be targeting the home Wi-Fi market but with plenty of competition set to be released in advance of Chime with the added ability to be slightly more portable one has to question if they’re turning up a little late for the party. I’m sure a huge name like AVG has the ability to publicise the product which might be the only saving grace when the crowdfunding end date rolls around.